2-- As The Ball is travelling, the SM (Star Man) makes a clever run in behind to receive the ball from player 1. 3-- Player 1 plays to SM ( Because he is not marked), who quickly plays the ball out to player 2. 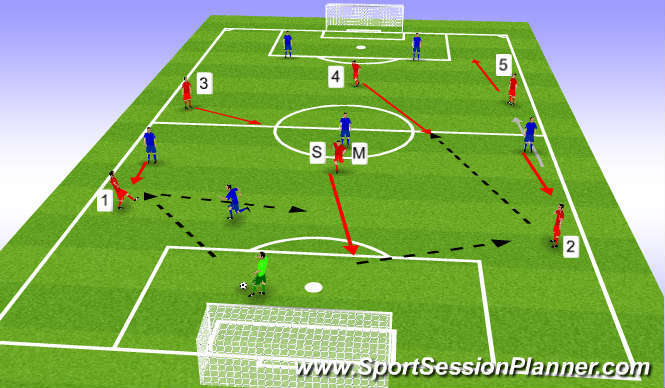 4-- Once player 2 receives the ball, player 3/4 and 5 make the movement of the RED arrow. 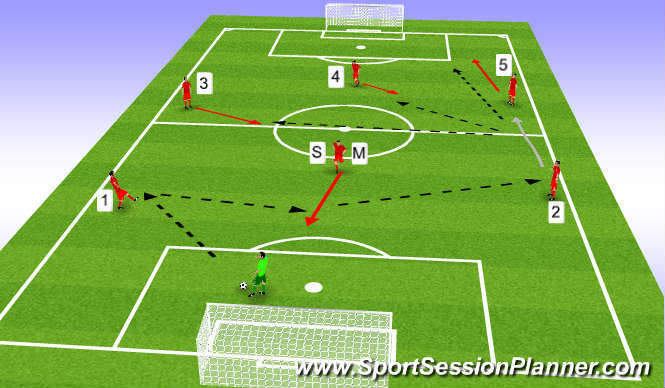 5-- Player 2 ca then have 3 options of which pass to make. Different movement when opposition are locked on!